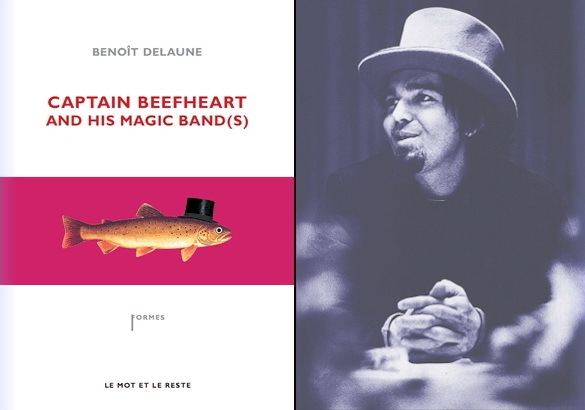 Benoit Delaune pubblica un breve saggio su Captain Beefheart e le diverse formazioni della sua Magic Band: Captain Beefheart and His Magic Band(s), per la francese Le Mot et Le Reste. "The (s) was very important to me, as I consider that the 1965 era-Magic Band was a wonderful bunch of musicians, but also the 1969 band, the 1970, etc., even the 1979-82 band (one of my favourite). Every Magic Band sounds fresh, astounding, virtuoso. That's a great lesson and this book was also for me, as a musician, a way of tipping my hat to all those wonderful musicians. I have tried not only to tell a day-to-day Magic Band story (it's a short book, 150 pages! ), but also to analyse their music, especially Trout Mask Replica which is discussed using some philosophic concepts, i.e. those of Gilles Deleuze's. I've described what I call the "Great Beefheart Paradox", Don Van Vliet's apparent "kamikaze" or "sabotage" attitude (for example the Magic Mountain Fantasy Fair concert incident). I have written about the guru aspect of the Magic Band's life, and I've tried to show that the Magic Band music could be the result of psychological pressures, harassment etc. - but it remains one of the most free musical expression ever produced."